Never know which stop to get off at on the tube? Or just need to quickly know how to get to somewhere? 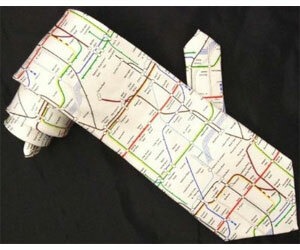 Why waste time with apps or maps when you can just look at your tie? Also a great way to meet new friends (mostly tourists).